Mac & Fulton’s Kent Gruetzmacher had the opportunity to visit Green Dot Labs in Boulder, CO to interview the cannabis extracts company for Maximum Yield Magazine. Kent’s tour of Green Dot Labs was facilitated by Co-Founders Alana and David Malone and Senior Cultivation Manager John Hartsoe. The Malones, a husband-and-wife team, have been essential in pushing the business to the forefront of innovation and distinction in the cannabis extracts field. 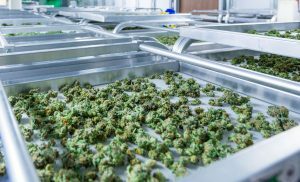 Some of the most important elements of successful cannabis business operations in today’s market are compliance, branding, and good manufacturing practices. Green Dot Labs shaped their business model around these ideals. Initially, Green Dot Labs had its beginnings in the medical side of the Colorado cannabis industry. Recently, they have scaled to meet the demands of the booming recreational cannabis market. Since its inception, Green Dot Labs has primarily focused on high-end hydrocarbon extracts. To this end, Dave stated, “Green Dot Labs was the first [Colorado cannabis] extraction company to outsource professional help in the development of safe laboratory practices.” With this unprecedented move, Green Dot Labs began developing innovative extraction SOP’s. These reflect the good manufacturing practice standards of the pharmaceutical and food production industries. The team at Green Dot Labs pushed for these standards of safety excellence to meet the strict requirements of Boulder’s regulations and their own commitment to quality and safety. As Dave explained, the city of Boulder took notice of their operations and decided to adopt Green Dot Labs’ safety standards as the city’s regulatory model for safe hydrocarbon extractions. Dave explained that the Colorado Marijuana Enforcement Division (MED) chose to model their hydrocarbon extraction compliance standards on those of the City of Boulder. This move made Green Dot Labs’ standards highly influential on a statewide basis. Green Dot Labs’ reverse engineering methodology is also evident in their production and processing infrastructure. The laboratory setting is designed entirely around extracts manufacturing. As Dave explained, “we have teamed up to create environments with symmetry in workflow to maximize efficiency” concerning both labor and materials usage. While efficiency is of the utmost importance to Green Dot Labs, so is quality. As such, their nutrient feeding regime is largely organic without using systemic pesticides commonly used in cannabis cultivation. Also, their day-to-day garden operations reflect an intimate eye for detail. 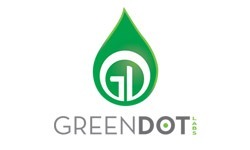 The team at Green Dot Labs emphasize that “branding is vital” at this juncture in their business operations. They have created product lines to support this forward-looking strategy. For the duration of their business operations, high-quality hydrocarbon extracts have been their mainstay. They have three tiers of products in this category: Black Label, Silver Label, and White Label. Green Dot Labs is renowned for their Black Label extracts, which are strictly comprised of flowers grown onsite from the company’s extensive genetic library. Also, their Silver Label products primarily feature more crowd-pleasing flowers with material sourced from top cultivators. Finally, third party processing services under the White Label name utilize Green Dot Labs’ extraction methods for other licensed businesses. This article originally appeared in the August 2018 edition of Maximum Yield i News.